Assessment and intervention thresholds are developed and proposed in men aged over 50 years and postmenopausal women for the UK based on fracture probability from the WHO fracture risk assessment tool (FRAX®). The FRAX® tool has recently become available to compute the 10-year probability of fractures in men and women from clinical risk factors (CRFs) with or without the measurement of femoral neck bone mineral density (BMD). The aim of this study was to develop a case-finding strategy for men and women from the UK at high risk of osteoporotic fracture by delineating the fracture probabilities at which BMD testing or intervention should be recommended. Treatment was cost effective at all ages when the 10-year probability of a major fracture exceeded 7%. 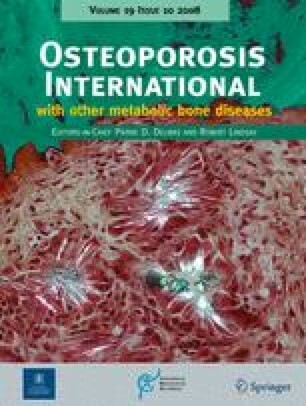 The intervention threshold at the age of 50 years corresponded to a 10-year probability of a major osteoporotic fracture of 7.5%. This rose progressively with age to 30% at the age of 80 years, so that intervention was cost effective at all ages. Assessment thresholds for testing with BMD (6–9% at the age of 50 years) also rose with age (18–36% at the age of 80 years). The use of these thresholds in a case-finding strategy would identify 6–20% of women as eligible for BMD testing and 23–46% as eligible for treatment, depending on age. The same threshold can be used in men. The study provides a method of developing management algorithms for osteoporosis from the estimation of fracture probabilities, rather than those based on BMD alone or BMD with single or multiple CRFs. The National Osteoporosis Guideline Group members are Prof JE Compston (Chair), Dr AL Cooper, Prof C Cooper, Prof R Francis, Prof D Marsh, Dr EV McCloskey, Prof JA Kanis, Prof D Reid, Dr P Selby, Mrs M Wilkins. 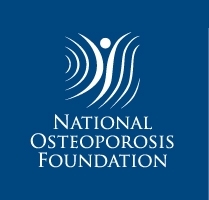 The National Osteoporosis Guideline Group thanks the WHO Collaborating Centre for Metabolic Bone Diseases, University of Sheffield and the International Osteoporosis Foundation for supporting the meetings of NOGG.